A retired U.S. Army intelligence officer with more than 20 years’ service, Sallay Kim holds a bachelor’s degree in Business Administration from Campbell University in North Carolina, and a master’s degree in Tourism Administration from the George Washington University in Washington, D.C. She is the owner of Serenity Event Solutions of San Diego, a firm that plans and manages events ranging from multi-day conferences to large dinners and receptions. Notably, she coordinated a Wounded Warriors Motivational Speaker Series at Walter Reed Army Medical Center. A native of Washington, D.C., Kim enlisted in the Army in 1990, and graduated from Officer Candidate School in 1997. As a young officer, she attended military intelligence and engineer officer courses, and jump master school. From 2003 to 2006, Kim served as an intelligence officer with the 1st Information Operations Command at Ft. Belvoir, Va., where among other duties she led a 10-member plans and intelligence team. She also deployed to Iraq to serve as the intelligence officer for the Coalition Provisional Authority Regional Coordinator for South-Central Iraq. In this role, she provided daily intelligence briefings to the regional ambassador and executive leadership staff. Beginning in 2006, Major Kim was deputy of the Command Management Branch of the Army’s Human Resources Command in Alexandria, Va., a post generally held by a lieutenant colonel. In this position, she regularly briefed the Army Vice Chief of Staff, and served as daily command program advisor to 21 U.S. and overseas Army commands. When Major Kim retired from the Army in 2010 she was a Strategic Initiatives Officer for the Officer Personnel Management System Task Force, Human Resources Command in Alexandria. Kim has owned and operated Serenity Event Solutions since 2010. Among her community service activities, she is a Big Sister with the Big Brothers Big Sisters of San Diego under the Operation Big/Military Mentoring Program. She worked on the 2014 Marine Toys for Tots Campaign, assisted the San Diego non-profit Resounding Joy funding campaign, and volunteered with the Women in Military Service for America Memorial at Arlington Cemetery for three years escorting Honor Flight World War II veterans. 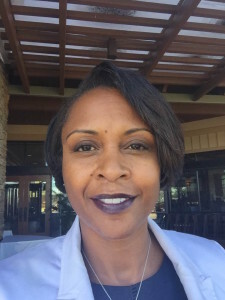 Kim joined the Board of the Miramar National Cemetery Support Foundation in 2015.